John Scharffenberger and Robert Steinberg are the founders of Scharffen Berger Chocolates. 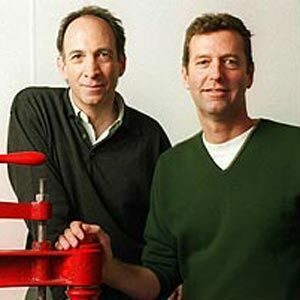 Scharffenberger was an accomplished winemaker and Steinberg was a doctor before the two friends decided to delve into the world of chocolate in 1996. They sold the company to Hershey’s in 2005. Scharffenberger and Steinberg are the authors of The Essence of Chocolate.